5m high voltage cable is a kind of 5m high voltage cable for the bulb light source of X-ray machine. It plays the role of connection and transmission. The length of 5m high voltage cable will not affect the whole operation. Medically, there are mainly 75KV and 90KV 5m high voltage cable for X-ray machines, which are suitable for 125KV and 150KV spherical tubes. The 5m high voltage cable are made of PVC materials. The conductor structure is 19/0.35mm, the insulation diameter of the core is 2.3 +0.1mm, the average thickness is 0.25mm, the sheath thickness is 1.5mm +_0.3mm, and the sheath diameter is 18.5mm +_0.5mm. The length of 5m high voltage cable between 2-16 meters is more suitable for the length of X-ray machine, customers can choose and customize according to their own needs. 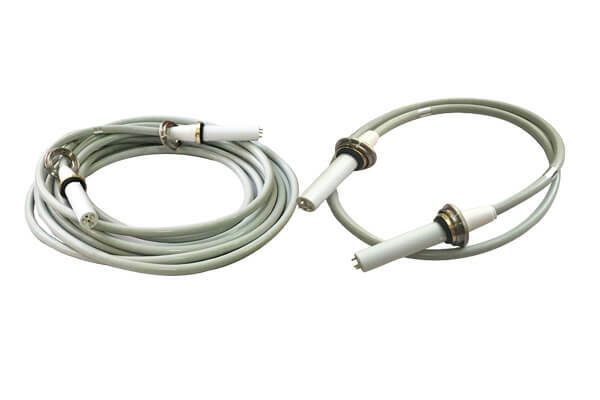 Newheek has high voltage connector for 5m high voltage cable.